Solar hot water with vacuum tubes in Bakersfield, California California is in a privileged geographical location for the application of solar energy. Solar hot water, solar heating, high performance diesel boiler in San Diego, California Solar heating does not cover 100% of the heating needs during winter days. Solar energy facilities in Phoenix , Arizona Solar heating does not cover 100% of the heating needs during winter days. 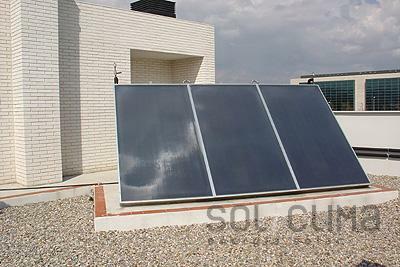 The installation of solar thermal energy for hot water production is mandatory in all new building construction in Spain. 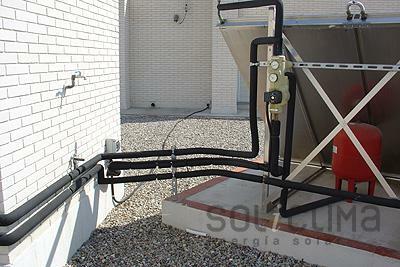 Solar hot water for an apartment. The bad orientation of the roof and the little space available was overcome by adjusting the collector to obtain a better positioning. 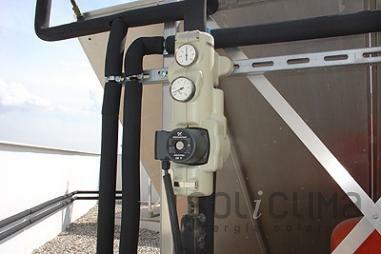 Solar hot water and radiant floor heating in Houston, Texas Radiant floor heating is the most comfortable system there is, for both, heating and cooling. Similar to the glories used in Castilla and it works on the same principle, though, of course, it´s more modern and technologically advanced. Germany is well known for its great environmental reputation and it is well deserved. Despite being exposed to low solar radiation, both, for its climate and its latitude, solar photovoltaic energy has been used for decades and they possess the latest and most amazing technology. The germans specially stand out in photovoltaic energy integrated in buildings.